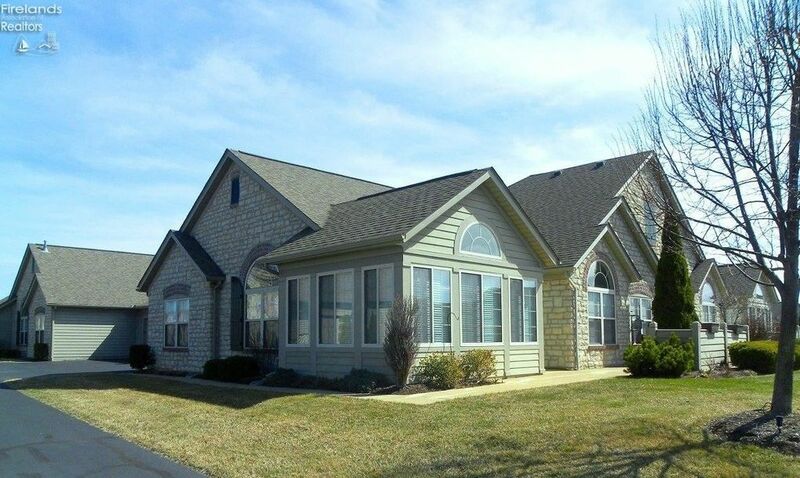 Fairway Villas on Catawba... luxurious comfort in this 2/3 bedroom condo! TURNKEY!!!! Ready for your enjoyment of the Lake area. This inviting condo has been pampered and made over...you'll love it! Great open floor plan with 2/3/bdrms... Master Bedroom suite with tiled shower, corian countertop, and built-ins in closet/2nd bath also has corian countertop./LR/DR/Kitchen...granite countertops/laundry/sunroom. New flooring: 2nd bedrm, 3rd bdrm, Four season Sunroom, Living Room, Dining Room and Entry. Also included is a private patio area at the entrance and an attached 2 car garage with extra area for storage or parking for golf cart . The Fairway Villas Club house has fitness area /gathering /game room and for the summer months you can enjoy the beautiful pool. The grounds at Fairway Villa on Catawba are beautifully maintained too! Easy access to private Catawba Island Yacht Club. You can join to use their amenities. Close to Catawba State Park, Miller Ferry, Numerous Marinas, Restaurants and Shopping.